Leveraging over the skills of our qualified team of professionals, we are instrumental in offering wide range of Hard Wood Flooring. A solid hardwood floor is not just a floor covering. With our floors you get so much more. 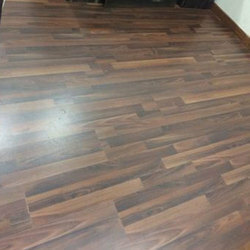 Matching up with the requirements of our clients, we are involved in offering Hardwood Laminate Flooring. The finished surface of an Engineered Hardwood flooring consists of a thick layer of solid hardwood showing all the natural beauty of the selected woodspecies. Below that layer is an inner core of high density fiberboard (HDF) layers, followed by a hardwood backing. Keeping the diverse requirements of customers in mind, we are instrumental in providing Hardwood Flooring. Our firm specializes in providing our prestigious clients with a classy range of Wooden Gym Flooring. Solid wood is homogenous wood from top to bottom. 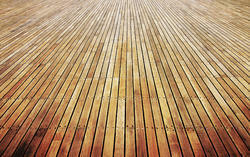 The thickness of solid wood flooring is typically 15-18mm. Solid wood lasts for decades if it is well maintained. Hardwood floorings are always in vogue due to their durability, longevity, restorability and minimum maintenance. Hard floor is a non-metallic ready to use, sprinkle type floor hardener, which produces tough, longwearing, abrasion resistant surface. It is free from chloride. Uses: industrial floors where tough, abrasion resistant flooring in required.